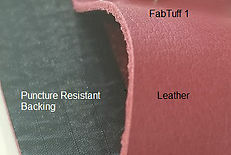 FabTuff ® backing adds puncture resistance to leather and fabrics for commercial upholstery or flooring. 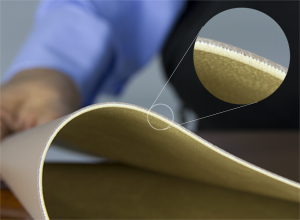 Tear and puncture resistant backing is bonded to leather or fabric creating a composite material that is strong enough to withstand the most demanding applications. Typical applications are restaurant booths, chairs, seating, nightclub dance floors and upholstery, as well as other high traffic areas in commercial environments that require resistance to punctures from stiletto high heels or other penetrating objects. 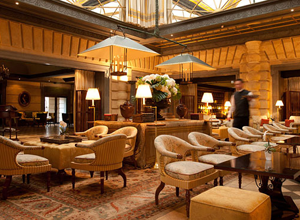 FabTuff ® was originally designed for the hospitality and entertainment industry. 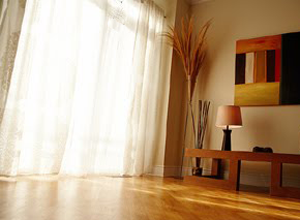 Commercial flooring and upholstered furniture reinforced with FabTuff ® has a longer lifespan. This increased lifespan provides significant cost savings, as replacement costs and the associated labor hours can add up quickly. 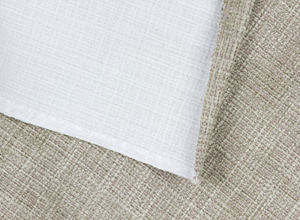 We offer two different types of FabTuff ® backing. 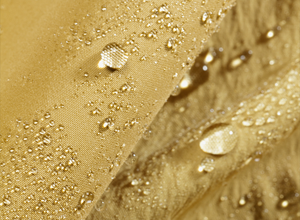 FabTuff ® 1 backing is a puncture and tear resistant backing which is permanently bonded to your fabric or leather. Commonly used for upholstered furniture. 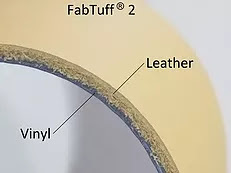 FabTuff ® 2 backing is a heavy-duty puncture resistant vinyl which is permanently bonded to leather or other flooring materials. 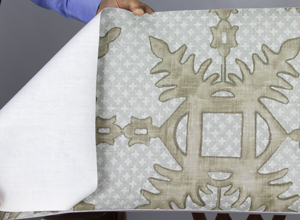 See and feel Puncture and Tear Resistant Backing for Fabric and Leather on your own fabric. Send us a sample of your fabric and our technicians will gladly apply the appropriate backing to suit your application (for a small fee). We can also send you a free brochure of representative samples if you prefer. Get your fabrics processed in just a few simple steps.